‘The ‘stars’ of Tātai Whetū, a collection of seven poems by seven Māori women poets, take the reader on a wistful journey that traverses the boundaries of the spiritual and physical realms. The poets who composed these poems will inevitably pass on from this physical world – he tātai whetū ki te whenua, ngaro noa – but their words and thoughts are hung in the metaphysical space of the heavens above as guiding lights never to be extinguished – he tātai whetū ki te rangi, tū tonu. ‘Ko ngā whetū o te pukapuka nei, Tātai whetū, he kohikohinga o ngā rotarota e whitu kua tuhia e ngā kaiwhakairo kupu wahine Māori tokowhitu. Ka kawea te kaipānui e ā rātou kupu i tētahi haerenga whēnakonako e whakawhiti ana i te ao wairua me te ao kikokiko nei. Tāria te wā, ka matemate haere ngā kaiwhakairo kupu nei – he tātai whetū ki te whenua, ngaro noa – engari ka whakairia ō rātou whakaaro, ā rātou kupu ki te rangi hei tohutohu i a tātou mō ake tonu – he tātai whetū ki te rangi, tū tonu. This entry was posted in NZ poems, NZ poetry, nz poetry review, Uncategorized and tagged Anahera Gildea, Landfall Review Online on November 2, 2018 by Paula Green. This entry was posted in NZ poems, NZ poetry, NZ poetry book, nz poetry review, Uncategorized and tagged Diana Bridge, Elizabeth Heritage, Landfall on Line, Landfall Review Online, Mary Creswell, Natasha Dennerstein on September 1, 2016 by Paula Green. 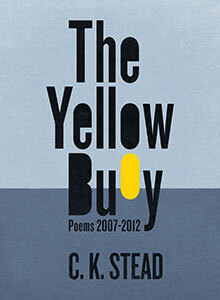 Nick Ascroft on CK Stead’s The Yellow Buoy at Landfall Review Online– this review is sizzling! Landfall Review Online is one of the best sources of poetry reviews currently available to us. Here, a reviewer gets to write in depth on a single volume of poetry, taking whatever style or manner of critiquing they like. Not all books get reviewed (understandably) but those that do get reviewed well. Nick Ascroft has just written a sizzling review on CK Stead’s most recent poetry collection. If someone were to write about my work with this keenness of engagement and propulsion of ideas I would be utterly flattered — whatever they thought of the my poetry. This is the sort of review that raises fertile questions but that also sends you to the most important thing at hand, the poetry itself. It is an exhilarating and stimulating read. Thank you! The poems of C.K. Stead ‘get poetry’. If I could choose any archetype for all budding poets to emulate it would be he who is perhaps the last of the double-initials-and-surname poets. The kind of adjectives one attaches to his style sound unflattering: honest, sturdy, reliable, unembellished, intelligible, sober, unfestooned, humble, un-baroque-or-rococo. Words are used artfully, but not deferred to or privileged above sense. The sound of words is not forgotten, but the poems are never in search of euphony. Images and metaphor abound, but again are precisely observed. Nothing seems exaggerated; nothing tries overtly to be or seem impressive. The subject has been selected because the poet knows it is interesting as is. Avoid ambition, poets. Avoid – ugh – flash. Avoid post-modernism. Embrace discipline. Stead’s durable archetype is of a poet like a plumber, no self-importance attached, just another well-functioning toilet at the end of a day’s work. But there is no one ‘poetry’ to ‘get’ of course. Instead, it comes in many forms, equally as deserving of the word ‘poem’, and is equally admired – by opposing groups of readers, often. Every attentive reader has a set of poems they have read and admired: a set of ‘poems that get it’. A set of poems they are prepared to promote and defend. To me this is what a critic does, defending as one braying voice in the wilderness, clutching a poem ‘set’ and asserting an opinion. I admire critics that speak to their vision of the truth. I think their judgements, often more sharply drawn and decisive than our own, help us to shape or frame our own thinking. We may vehemently disagree, and perhaps even be hoodwinked by rhetoric to agree when perhaps we shouldn’t, but either way the conversation shapes us. The best critics to my mind are both curmudgeons and creeps: challenging the reader all the way. Accordingly, I have defaced my way through Stead’s latest collection, The Yellow Buoy: Poems 2007–2012, drawing creepy and curmudgeonly faces in the margins. This entry was posted in Poetry and tagged CK Stead, Landfall Review Online, Nick Ascroft, NZ poet, NZ Poetry review on May 8, 2014 by Paula Green.